So what is the universe? We’re about to embark on a journey of explanation and exploration of the Third Holy Temple and thus be able to breach the confines of our universe. We will take it very slowly so that each point can sink in well before we move on. The starting point will be one of the deepest secrets of all time, the measure of the Holy cubit most necessary for the proper construction of the Third Temple, which is different from the previous Two Holy Temples. 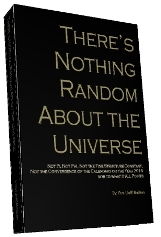 But before we can even get into that we must know what the universe is? And to do that we must understand in our hearts the flow of the life-force through this universe. We must understand well from where it derives and what Names and gates it passes through. This explanation today will be a general one; we’ll get deeper into the specific gates as we encounter them in the Holy Temple later on. We’ve written hundreds of articles where we’ve explained the gematria connections to specific words, phrases, and verses in the Torah and how they affect our lives and thoughts, but we need to take a step back and look at the bigger picture. In the Torah there are exactly 1024 different word values utilized. This is no accident. Those 1024 word values represent 322 (32 squared) gateways. Rabbi Chaim Vittal of blessed memory explained that all Torah light is spread by squaring and he wasn’t kidding. The light, or life-force, spread out dimensionally from the original 32 Pathways of Wisdom and became 1024 word values, gates. To better understand how a Hebrew word on a scroll can be a gate, think about a web address that someone emails you. It’s just a bunch of letters on a note, like the letters in a word in the Torah. You can think of the Hebrew words as 1024 major web addresses and since multiple words have the same numerical value, each individual word can be though of as separate web page. Now remember, each word has different gematria values depending on cipher is used so each of the pages in our metaphor has multiple links embedded in it, connecting it to numerous other pages, which in turn adds yet another dimension of expansion. Now here is where the knowledge of kabbalah comes in. Gematria is the natural inherent programming of the Hebrew language—the codes behind what you see on your screen. 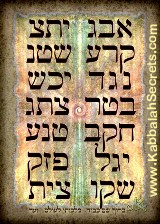 And Kabbalah is the sourcebook that teaches us how to read and access that programming. Reading the Torah is amazing, but would you rather read the names of websites, or click on them? That’s what Kabbalah allows us to do. There is a whole other Internet out there, a pure one of limitless knowledge written on an infinite platform. But back to the Torah—our PC. It’s divided into verses and phrases, which link together multiple words, or websites. These form local networks that link together to form larger networks, which all eventually center on a few major portals, just like our Internet (Yahoo, AOL, Google). In the case of the Torah and the universe, these are the 32 Paths of Wisdom. This is why the all-important sacrificial alter at the exact center (heart) of the Holy Temple measures 32 x 32 cubits. The number 32 in Hebrew is Lamed-Bet (LB) which not only spells lev, heart in Hebrew, but Bet (B) and Lamed (L) are the first and last letters in the Torah. And significantly, 32 is the number of faces on a hypercube, which numerically is 25, and geometrically is a cube expanded to the fifth dimension, which we’ll get into later. Please note that the 32 Paths form the structure of the 10 dimensions of the Tree-of-life, which includes the 22 building blocks (linkages) and the 10 sefirot themselves. As we explore the Holy Temple and expand our consciousness, we will do so in multiple dimensions and get into the importance of this 5th dimensional space to us and to the structure of the universe. But for now, just note that what this also means is that the 1024 gateways (32 x 32) of the Torah are located throughout the 10 dimensions (10 sefirot) in that 32 x 32 = 25 x 25 = 210. The sum of all 4 aspects has a numerical value of 232, which we only point out today for its symmetry of 2 and 32 in regards to the discussion above; in previous and future articles it will have great significance. If we were to follow the four roots backwards we’d come upon the 2 great lights, known as Tiferet (Zeir Anpin) and Malchut in perfect union. This is a state we don’t know, but one we must long for every minute of our existence, and it is the one that should be the sole object of all our prayers. For this is the state of pure unconditional love; it is the state of the Tree-of-Life consciousness. These 2 great lights is why the Torah begins is a great letter Bet, for 2. This is the Bet of Bereshit, meaning “2 beginnings,” which refers to our 2 chances of attaining the Tree-of-life consciousness: the first 2448 years and the next 3330 years until 5778, as has been explained dozens of times already in numerous articles and Books, including The Divine Calendar and There is Nothing Random About the Universe. But this week we begin anew the Book of Bereshit and will read in verse 2:10 (as in 210) appropriately enough, how a river flowed out of the Garden of Eden. This river split into 4 major rivers. This is a deep allusion to the flow of the life-force into our world from the foundation stone then out through the Gate of 42, which we will learn about later. But, of course, the universe is more than a network of 2-dimensional websites, for through each gate is another life or lifetime or world to explore and the knowledge obtained there is real. As for us, this flowing system of rivers splits and forks countless times to it trickles into each of our souls and into each and every object in our world. If it were to be turned off for only a moment all existence would cease. And like the words and their values in the Torah that are akin to websites, our lives and souls are connected and bundles together in huge social networking sites with every action and thought we have posted on the supernal facebook and tweated for everyone to see. It’s only through our limited vision that we think they are our secrets and privacy. So this is the true structure of the universe. We will begin the next article with what may be the deepest secret of all time: the measure of the ancient and future cubit. Hopefully, when we finish, we can all successfully construct the Future Temple in our minds and bring the Tree-of-Life reality to life. Author Jeffrey MeilikenPosted on October 13, 2009 January 2, 2011 Categories RevelationsTags 1024, 210, 32, 32 paths of wisdom, cubit, kabbalah, Third Temple. Holy of Holies, Torah, tree-of-life1 Comment on What is the Universe? There’s no complex math in this article, but a lot of numbers, and it can’t be helped. I try to tone down the amount of numbers in the posts, limiting them to the most significant and the minimum necessary to establish the synergies and proofs so that the spiritual messages behind the numbers can shine through, but we’re at a critical juncture in the Torah, a seminal moment not unlike what we’ll be going through in 5778. 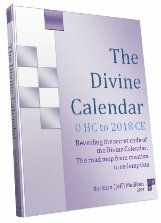 The 10 Utterances, more commonly known as the 10 Commandments, are found at a unique place in the Torah and at a unique paradigm in time. And we need to establish that for you, before we can reveal what actually happened back then. Remember, the numbers are just the energy readings that we take when we press our measuring devices (our minds) against the wiring of the Torah to see how its circuitry works, and which way the current flows. They are our guides to the cosmic gateways to which the Torah connects. If we think of the Torah as a static parchment of paper with words on it, rather than as live wires, then we’ll miss be able to draw enormous amounts of energy from it, and tremendous opportunities, like the one opening up for again soon. We say “again” because this cosmic window last opened 66.6 jubilee years ago, when G-d chose to recite the 10 Utterances, which chazal tell us also created the world, a total of 115.6 jubilees years ago. To understand that you must be able to think of time as fluid and space as collapsible, and reality as we know it as an illusion. In other words, you must be able to perceive the tree-of-life reality that was offered to our ancestors back in 2448 HC, 49 jubilee years after Creation . In the 20th chapter and 54th Paragraph of Exodus (Shmot/Names), after the Zohar tells us Moses received the 173 Keys to Heaven (the 42-letter Name); after the rectification of the 10 sefirot of the tree-of-life through the 10 plague, as explained by the Arizal; after the tools of the 42-Letter Name (Mem-Bet) and the 72 Names (Ayin-Bet) were given to Moses and the Israelites when they cried out to G-d; after they split of the Red (endless) Sea; and after they completed the cleansing process through the appreciation, tshuva, and tools embedded in the “Song of the Sea,” the Israelites were ready to receive the 10 Utterances directly from G-d, thus completing their ascension to Keter. That was the plan. 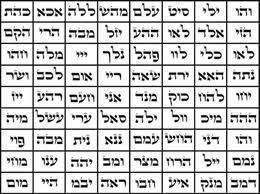 The 10 Utterances are found at chapter 20 in parsha Yitro of Shmot (Exodus) and the letter yud (Y) of numerical value 10 is a direct substitute for the number 10 in the 10 Utterances and the letter yud when spelled out has the value 20, the same as the chapter. This is significant because the number 20, esrim, has the numerical value of 620, that of Keter, the crowning, hightest sefira (dimension). Moreover,Yitro (YTRV), Mose’s father-in-law, has the value 616, the same as H’Torah (the Torah) plus the kolel of the 4 letters gives 616 +4 = 620, Keter once again. And that’s just the start. That there are 9 verses spanning paragraphs 54 to 62 of Shmot (Exodus) is no coincidence. Readers of this blog know by now the formulas of the sum of positive integers through 107 = 5778; and 54 x 107 = 5778, the year the tzaddikim prophesied for the arrival of Moshaich and the geula (final redemption); and also that the surface temperature (radiance) of the sun, representing the King and Zeir Anpin, is 5778 K, while its core temperature is 156 million K, with 156 being the gematria value of Joseph, representing Yesod of Zeir Anpin. But what hasn’t been revealed yet is that the numerical value 54 is found 156 times in the Torah and that the Name Dan (DN)–the initials that Abraham’s Sefer Yetzirah would lead to Mashiach–of numerical value 54, is found 26 times, corresponding to the value of the Tetragrammaton (YHVH). And consequently that 54 + 156 = 210, as in the 210 years of Exile in Egypt that just ended prior to the 10 Utterances. And most students of Torah know that the Torah is divided in 54 parashot (portions), so this being paragraph 54 is most probably a hint that the whole Torah is about to be received, not just a few commandments to behave civilly. The number 54 also has the distinction of being half of 108, the numerical value of the infamous golden calf, and the reason that this connection is so significant will be revealed shortly. And since the number 107 is integrally associated with 5778, and thus the reception of Moshiach, that 108 is 1 beyond it, is significant as well, but for the moment it’s important to note that the first letter on the 10 Utterances is the 107006th letter in the Torah, or looked at another way, 107 x 1000 + 6 (representing the letter Vav(V) and Zeir Anpin). And for its part, 62, as in the final 62nd and final paragraph of the 10 Utterances, it is the key to understanding what is really going on in the section. For starters. there are 62 letter yuds, of numerical value 10, within these 9 paragraphs. Now, the letter yud (Y) is the first letter of the Tetragrammaton (YHVH) and is associated with the level of Chochma (wisdom), the 9th and 2nd highest sefira (dimension), and those 62 yuds have a total numerical value of 620, that of keter (crown), the highest sefira, the place the Israelites had reached as G-d spoke to them. Moreover, the sum of the ordinal values of those 620 letters is 11 x 620 + 1 (kolel). And of the 10 Utterances, 8 begin with the word Lo (LE), “don’t,” which is EL (G-d) backwards and these 8 words total 248, the value of Abraham, of mercy, and of the Earth’s reflected radiance back to the sun (248.5 K), but also 248 = 4 x 62. You can see where this is going; this small 620 letter section of the Torah is quite special and unique. There are also 172 words in this section, and if we add 1 for the kolel we’d have 173 words, which not only hints at the 42-Letter Name through its small gematria value of 173, but 620/173 = 3.58, and 358, as we know, is the numerical value of Moshiach, the messiah. And then to complete the picture, there are 13 verses in these 9 paragraphs, just like the 13 times that words with a numerical value of 173 appear in the Torah. Ever wire in this section is very much alive and burning bright. That there are 9 paragraphs is probably not coincidental either as the numerical value 625, that of H’keter (The Crown) is found 9 times in the Torah, and keter (Crown) of value 620, as in the 620 letters of the 10 utterances, is found 10 times as many times, or 90 times. And just to be thorough, we should point out that 9 x 90 = 810, or 805 + 5 (kolel). As we’re dealing with the moment the Israelites touched Keter, it should be noted here that 10,000, or 104, representing Keter, when divided by 5778 yields 10,000/5778 = 1.7307026, or a perfectly graphic rendition of the shem mem-bet (173 keys); the 70 nations, etc; and the YHVH (26). Readers of this blog and of The Divine Calendar know full well the significance of the number 70 and the role that the time span of 70 years repeatedly played in the Israelite history, so we should point out that the 10 Utterances occur in the 70th Chapter in the Torah. So, it’s pretty obvious to us, as it’s always been to the tzaddikim, that the relationship between reaching Keter, receiving the Mashiach and the tree-of-life consciousness, understanding the 42-Letter Name and the year 5778 is a most important one, important enough to etch onto the cosmos and to build the Torah around, and important enough for G-d to reveal to us today, 9 years shy of 5778. We know from chazal and have explained numerous times and in depth in The Genesis Prayer how the 42-Letter name is integrally connected with the Torah’s first verse as both a remote control for the Torah and as the seed of Creation itself, so we’ll skip that here, and instead point out the Torah first verse’s interesting connections to keter and to these 620 letters. OK, so we know that the 7 words in the Torah’s first verse are connected to chochma/wisdom, of numerical value 73 because their total value is equal to all the positive integers through 73, and we know that the letter yud (Y) of numerical value 10, represents the sefira of Chochma in the YHVH, and that there are 62 yuds in the 620 letters of the 10 utterances, but what we didn’t know was that the word values of each of the Torah first 2 words (9 letters) are repeated a total of 62 times in the Torah. Or that while the 4th and 6th words (totaling 4+6=10) in the Torah (Et and V’Et) are found a total of 3450 times in the Torah, or 345 x 10, with 345 being the numerical value of both Moses (Moshe) and Hashem (G-d), the total number of times that their word values reoccur is exactly 622 . Or that the recursions of the 2nd word (barah) plus the recursions of it’s numerical value also equals 62. So those 62 x62 + 62, or 62 x 63 times, whose total word occurrences and word value recurrences is 7363, covers words # 1+2+4+6, or 13, as in the 13 verses of the 10 Utterances. And as for words #3, 5, and 7 of the Torah’s first verse, whose collective numerical value is 777, their total word occurrences and word value recurrences and word values is 3125 = 625 (H’Keter) x 5. While 3-word phrases are often associated with the 3 columns of the Tree-of-life schematic, the word ELHYC has the gematria sofit value of 546, as in the initials of the 10 sefirot (dimensions) of the Tree-of-life. This is not surprising, as we know from chazal that the 10 Utterances represent those 10 sefirot (dimensions) of the Tree-of-life, but what is news is that the regular gematria value of this phrase is 173, as in the 173 keys of Moses, the 42-Letter Name, the understanding of which chazal tells us will bring the geula. And if you recall, the numerical value 173 is found 13 (ahava/love) times in the Torah. Yes, it’s because of G-d’s love for us that He gave us the 42-letter name, but also this is another piece of evidence that the 42-Letter Name (Ana B’koach) is the love algorithm, a spiritual formula and cosmic technology that connects us to “unconditional love,” the numerical value of of which is not only the value of the 42-Letter Name’s first line, but also the number of times the 14 triplets in the name appear in the Torah, 506. This is also the complete (ordinal and simple) value of Mashiach Ben David, but much more about that can be found in The Genesis Prayer. Moreover, 506 is also the numerical value of the 32nd (VShR) of the 72 Names, and as we saw with our blogs on the splitting of the Red (Endless) Sea, the 42-Letter Name and the 72 Names often work in concert when big so-called miracles are required. This also further connects the 42-Letter Name to the 32 Paths of Wisdom and thus the Tree-of-life. And speaking of Moshiach and the geula, not only are the first 2 words of the 10 Utterances “I am God” found at letter number 107006 in the Torah, but their numerical value is 107 as well, leading us right back to 5778, the date the tzaddikim gave us for the arrival of Mashiach and the geula (final redemption). If you question why not a perfect 107,000th letter, there are multiple answers, but the most obvious may be that the additional 6 in 107006, hints at the 6 hours that the erev rav and many of the Israelites didn’t wait for Moses’ return, costing them the immortality of keter, the tree-of-life reality, and costing them another 66.6 jubilee years. We find this non-perfect reference again in the (600,000 – 408) component letters in the Torah, whereby 408 x 6 = 2448, the year of the 10 Utterances and that Keter was achieved for a few, and not for the 600,000 Israelites who were present and could have achieved it. And 408/6 = 68, the numerical value of Cha’im, life, as in Etz Cha’im, the tree-of-life and the number of alefs (E) in the 620 letters of the 10 Utterances. Are we reading into this? You decide. The verse that immediately precedes and introduces the 10 Utterances, Exodus 20:1 “God spoke all these words, saying:” has 7 words and 28 letters, just like the Torah’s first verse; and the initials of those 7 words add up to 68, again the numerical value of Cha’im, life, as in Etz Cha’im, the tree-of-life; and the total gematria sofit value of the verse less a kolel of (28/7 or 4) = 2448, or with a kolel of 28 for the 28 letters = 2480, the sum of the Names of the 5 Books; while the standard gematria for the full verse is 1332 or 2 x 666. Anyway you look at it, this introductory verse is connecting the 10 Utterances spoken by G-d to Creation itself. And moreover, it is setting us up for the 66.6 jubilee years, or 50 year intervals, as in the value of the middle word in the verse, kol (CL), that stretch from 2448 to 5778. Some of the Israelites reached Keter, and the tree-of-life represented by alef, which when broken down has the numerical value of 32 and thus is our physical symbol of the 32 Paths of Wisdom that are the 32 connections (energy centers and channels) of the 10 sefirot (dimensions) that comprise the tree-of-life. Like the first 3 words of this verse that significantly at have 13 letters that correspond to the 13 verses, the last 2 words m’bet avadim, have 9 letters corresponding to the 9 paragraphs: (MBYT ABDYM), “from the house of slavery.” S,o let’s examine those 2 words last used during the killing of the first born, the 10th plague. They begin with Mem-Bet and Ayin-Bet, as in the 42-Letter Name and the 72 Names, the keys to freedom hidden within the doorways to the house of slavery. Some found them, some didn’t. Those that hadn’t weren’t really ready, even after everything they had seen. They still weren’t ready to let go completely. When we unlock the MB and AB in (MBYT ABDYM) we’re left with 5 letters that total 1024, as in the numbers of word values in the Torah, . Moreover, concealed with slavery (ABDYM) are the initials of Mashiach Ben David, and what’s left is Yi (AY) meaning “debris, ruins.” Two clear choices. When faced with a revelation of light, we can choose to embrace it or to embrace our doubts. Most people choose the comfort of their doubts, and the company of their peers. And while the numerical value of MBYT is 452, so is the number of times that the value 86, that of Elohim–found in both the Torah’s first verse and the 10 Utterances introductory verse (Exodus 20:1)–appears in the Torah. Meanwhile, the value of (MBYT ABDYM), “From the house of slavery” is 578, a possible allusion to 5778. The connection to Elohim is understandable, considering the Name and aspect of G-d, was found 32 of those times in Creation, the first chapter of the Torah, and altogether 62 times through the completion of the 10 generations of Adam in chapter 5. There’s not much room for coincidence here. Nor room for error, as the window opens for the 3rd time, the last time being 3330 years ago. As one would imagine there’s so much concealed information and guidance jam packed into these 620 letters that it becomes tedious to try to maneuver through it all. So we’ll stop here and continue in our next post, where we’ll explain what everything in the article above was hinting at, what happened at Mt Sinai, and what were the two paths in the Torah that followed. The implications for us today are extraordinarily profound, which is why all this tedious background enlightenment into the workings and encodings of the 10 Utterances and its connection to the whole Torah were necessary. The Torah must be seen as a whole, and the 10 Utterances as a special moment or (window) in time if we are not to miss the next cosmic opening.